At Gawley Plastic Surgery, our priority is to make your outer beauty shine just as brightly as your inner beauty. We make a serious commitment to helping you get the results you want and the care you need. We combine our cutting edge technology and top-of-the-line procedures with expertise and genuine compassion to help you reach your aesthetic goals while giving you the most comfortable experience possible. Our mission at the practice is to create a memorable experience for each patient by going above and beyond expectations. In doing so, we provide each patient with an amazing experience – highest quality service, care, and outcomes. We combine cutting edge technology, expertise, and training with genuine compassion to help each patient with their aesthetic or reconstructive goals. 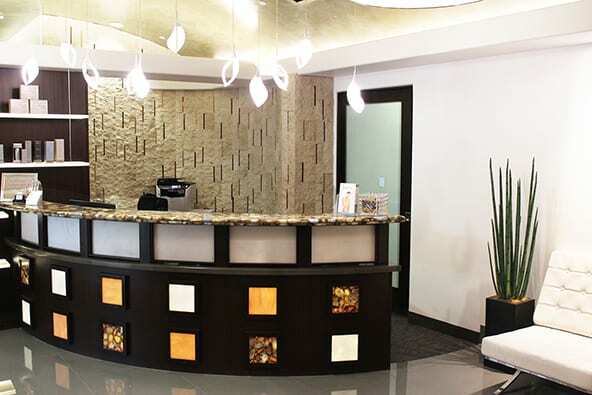 Our vision is to be the premier aesthetic and reconstructive plastic surgery practice in the state of Arizona. We are a patient-centric and service-focused practice, continually striving to over-deliver and set the standard for patient care, outcomes, and experience. To schedule a consultation call 480-696-6361 today. Our board-certified Arizona plastic surgeons are truly some of the premier cosmetic and reconstructive experts in the Phoenix area. The aim is not simply to perform a successful procedure but rather to transform your beauty and enhance both your body and your life. Over the years, Dr. Gawley’s work in the fields of both plastic and reconstructive surgery has been recognized throughout Arizona communities. Dr. Gawley has been named one of Scottdale’s top doctor’s by Phoenix Magazine for over 10 consecutive years and is well known for his work with cancer patients. With years of education and experience in combination with a top-of-the-line plastic surgery suite, both he and his team of professionals know what you need and how to achieve it. In an effort to provide our patients with the most cutting edge procedures, we are continuously evolving our surgical-techniques through training and technology, in addition to offering a wide range of cosmetic surgery procedures and aesthetic treatments. We also offer top of the line skincare and cosmetic products to help you maintain your new beauty long after you’ve left our office. For Gawley Plastic Surgery, plastic and reconstructive surgery procedures are ultimately defined by your needs. We will gladly serve patients who have already undergone surgery with other doctors but are unhappy with the results. When it comes to taking care of our patients, we won’t settle for anything less than the very best to provide you with the care you deserve. Our office also makes a concerted effort to offer a number of financing options to help make all of our services affordable to you. Our surgeons perform cosmetic and reconstructive surgery procedures at the licensed and accredited North Scottsdale Outpatient Surgery Center. We serve patients in the Phoenix and Scottsdale regions, including Gilbert, Chandler, Glendale and other surrounding areas in Arizona. If you believe you are ready to transform your appearance with plastic surgery or other aesthetic procedures, contact Gawley Plastic Surgery at 480-696-6361 to schedule a consultation with one of our Arizona plastic surgeons.